Posted on December 4, 2018 at 10:00 am. 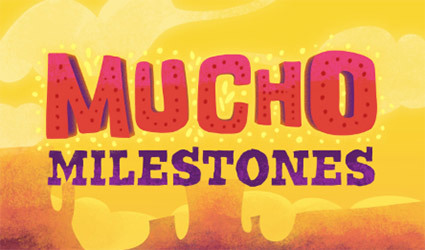 Punters at MuchoVegas.com can rack up stacks of rewards with the Mucho Milestones loyalty program. Every time you log in and bet with real money, you earn Fiesta Points that can be swapped for free spins, cash rewards and other perks. Points are accrued at a rate of one for every $10 wagered on pokies games, or one for every $50 wagered on all other casino games. It does not matter whether the bet wins or loses – either way, you get your points. Every 100 points you earn can be redeemed for $1 in real cash credits at the cashier. Racking up 50,000 Fiesta Points earns you an invite to the Jefe VIP Club, where you can luxuriate in exclusive perks such as faster withdrawals, higher transaction limits, 24/7 account management, and any number of dining, travel and leisure experiences. These benefits are only available to members at MuchoVegas.com, so follow our links to sign up and get started. – Only real money players are elligible for Milestones prizes and points earned while playing with no-deposit bonuses of any kind (including free spins) or winnings generated with these bonuses do not count towards the program.